Professor Sturm is the George M. Jaffin Professor of Law and Social Responsibility and the founding director of the Center for Institutional and Social Change at Columbia Law School. She helped author the amicus curiae brief submitted by Middlebury in the Fischer v. Texas case on Affirmative Action. This entry was posted in Student Activities on January 11, 2013 by Jennifer Herrera. All styles welcome, just be ready to rock the crowd! Click here to register online by this Sunday. This entry was posted in Student Activities on January 7, 2013 by Jennifer Herrera. As we approach Thanksgiving Break, we all have much to be thankful for here at Middlebury. That includes the high quality of food provided in Proctor, Ross, and Atwater each day. As you may have noticed in recent weeks, the dining halls have run low on plates, bowls, and especially cups. I am asking all of us to take the initiative now, before we leave for break and then hit finals, to return dishes from your rooms, study spaces, suites, and houses. Let’s make it a campus goal to return as many dishes as we can to the dining halls this weekend. Bringing back our dishes will make the dining experience more pleasant for all of us. Wishing each of you a very happy Turkey Day. This entry was posted in Student Activities on November 19, 2012 by Jennifer Herrera. Terrorism Financing: How Does It Work and How Can We Stop It? Moyara de Moraes Ruehsen is Associate Professor at Monterey Institute of International Studies. She is a certified anti-money laundering specialist (CAMS) and regularly consults for the private sector, and US and foreign governments on anti-money laundering and counter-terrorism financing (AMS/CTF) matters. Her most recent assignment was with the Federation of Iraqi Private Banks in Baghdad. Professor Ruehsen will be talking about how terrorists raise and move their funds, and strategies that policy makers can pursue to go after the money. She will illustrate the problem using several case studies. Sponsored by Rohatyn Center for Global Affairs, International and Global Studies, and C.V. Starr Foundation. This entry was posted in Academic on November 9, 2012 by Jennifer Herrera. This entry was posted in Student Activities on October 29, 2012 by Jennifer Herrera. Weclome back to a new year at Middlebury. I am writing to let you know that the Student Resource Guide is once again available and provides a snapshot of student life at Middlebury. It has been updated with new information and highlights key campus resources that allow you to have fun, be safe, find help, and become an active, engaged member of our community. In addition, we created the Student-Athlete Resource Guide that highlights valuable information relevant to being an athlete at Middlebury. 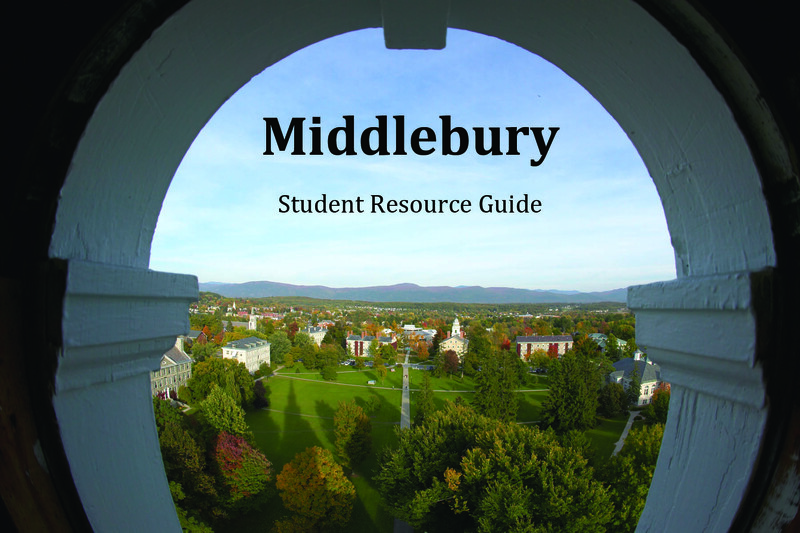 Although these guides should not be confused with Middlebury’s official College Handbook, which provides the complete text of all College policies, they offer an overview of some of the most important of those policies and the goals behind them. New students received a printed copy of the Student Resource Guide during Orientation. Sophomores, juniors, and seniors may access the guide by visiting go/resourceguide. We have distributed a limited number of guides to locations throughout campus, so if returning students would like one, you may pick one up. In addition, we created the Student-Athlete Resource Guide that highlights valuable information relevant to being an athlete at Middlebury. 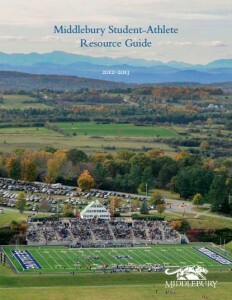 The Student-Athlete Resource Guide is available by visiting http://www.middlebury.edu/athletics/studentathleteinfo. My door is always open to students, so if you are interested in meeting with me, please feel free to come by during my open office hours on Fridays from 12-1:30 pm or contact me via email. This entry was posted in For Students on September 18, 2012 by Jennifer Herrera. 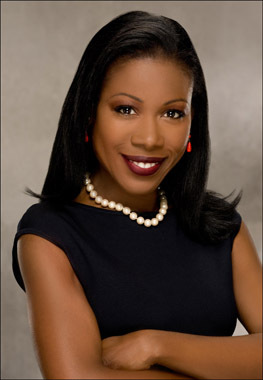 Students interested in journalism, urban affairs, social justice, and migration are invited to join award-winning author and journalist Isabel Wilkerson for an informal discussion. 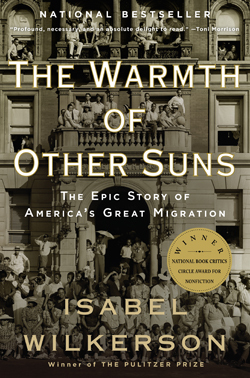 Isabel Wilkerson is the author of The Warmth of Other Suns: The Epic Story of America’s Great Migration, which has attracted wide acclaim, including winning the Anisfield-Wolf Award for Nonfiction and the National Book Critics Circle Award for Nonfiction. 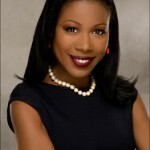 She is also the first black woman in the history of American journalism to win a Pulitzer Prize. Ms. Wilkerson is currently Professor of Journalism and Director of Narrative Nonfiction at Boston University. 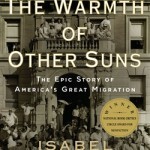 Following the talk, Ms. Wilkerson will sign books in the McCullough Center Gallery. Books will be available for purchase through the College Bookstore and on-site. For full schedule visit go/myamerica? This entry was posted in Student Activities on September 11, 2012 by Jennifer Herrera. Seeking Middlebury students to spearhead New Chapter of REACT to FILM! REACT to FILM is a 501c3 nonprofit that leverages the best documentary filmmaking to promote social responsibility and spark civic engagement. As a Chapter Leader you will create a REACT to FILM Club on campus to expose your peers to critical social issues. By hosting screenings you will engage your peers in a conversation via a panel or Q&A, and you will ultimately inspire them to change their own life and the lives of others for the better. 5-6 hrs/wk, internship credit available. Apply now! This entry was posted in For Students on August 20, 2012 by Jennifer Herrera. In response to new federal regulations, Middlebury College now requires ALL STUDENTS to either purchase the Student Health Insurance Plan offered by the College or sign a waiver indicating that the student is covered by a comparable U.S.-based plan. Students who do not sign the waiver will be billed for College-sponsored health insurance. Middlebury requires all students to have health insurance. For many years, the College has offered a Student Health Insurance Plan as an option for those students – typically about 10 percent of the student body – who are not covered by their family’s health insurance or another insurance plan. With the 2012-13 academic year, new federal rules governing health insurance require that we offer a plan covering a wider range of services, with fewer limits on the covered cost of such things as prescription drugs, treatment for mental health and substance abuse, surgical procedures, and hospital stays. The new plan covers 100 percent of the cost of preventive care, and includes a dental savings plan and a discount vision plan. The plan’s aggregate annual maximum payment limit increases from $50,000 to $100,000. This mandated expansion of coverage comes at an increased cost. For 2012-13, the annual cost of the Student Health Insurance Plan will be $1,874 per student, while last year’s plan cost $913. It is important for you to know that Middlebury offers this plan to students at our cost. The College does not receive a mark-up or commission. Beginning with the 2012-13 academic year, all students who do not wish to purchase the Student Health Insurance Plan are required to complete a waiver, affirming that they have comparable U.S.-based insurance and that they will not be purchasing the plan offered by the College. Students who do not complete the waiver will be automatically enrolled in and billed for the Middlebury Student Health Insurance Plan. Students enrolled in the plan can expect to see the charge on their College account in late September. Requiring this waiver actually helps us limit the increase in the cost of the plan. At the website, and on the insert included with this letter, you’ll find additional information about the plan, which is underwritten by Aetna Student Health Insurance Company and managed by Gallagher Koster. Should you have more questions, please call 800.430.0697 to speak with a Gallagher Koster representative. This entry was posted in Deadlines, For Students on August 6, 2012 by Jennifer Herrera.